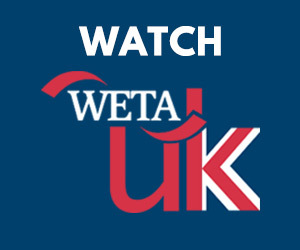 Some British retreads don’t make it past the pilot stage – Bad Education, The IT Crowd, The Thick of It and Spaced fall into this category. The Gavin & Stacey Fox remake called Us & Them actually got to make seven episodes before they were cancelled. Oddly, enough none of them actually aired. And just because you make it to broadcast doesn’t mean your show is safe. Coupling, Blackpool (renamed Viva Laughlin!) and Teachers were all cancelled after six episodes or less. Skins, The Inbetweeners, Life on Mars and Gracepoint (previously known as Broadchurch) mercifully got to complete their freshman season but none returned to air the following year. That’s not to say that British to American TV adaptations have never thrived. The UK sitcoms Till Death Us Do Part, Steptoe and Son and Man about the House all spawned American hits in the 70’s in the form of CBS’ All in the Family, NBC’s Sanford and Son and ABC’s Three’s Company . Shameless. This Channel 4 dramedy was introduced to British audiences back in 2004 and just wrapped their 11th and final series in 2013. Yes, that is a substantially longer life than most UK TV shows. This series features the highly chaotic Gallagher clan who live the dysfunctional high life on a Manchester council estate. Patriarch Frank (David Threlfall) is in a constant state of alcoholic stupor and his wife fled the scene long ago so the six Gallagher children are left to raise themselves the best they can. Interesting tidbit: Actress Anne-Marie Duff who plays oldest sibling and surrogate mum, Fiona, met her real life husband, James McAvoy on the set of Shameless. He played her boyfriend and upper middle class car thief, Steve McBride. They appeared on the show for the first two series. In 2011 Showtime debuted their version, which is set in Chicago. Believe me this show could only have been adapted for a premium channel in order to retain the tone and content (i.e. profanity, sexual situations and substance use and abuse) of its predecessor. Starring William H. Macy as Frank and Emmy Rossum as Fiona, Shameless (USA) seems to closely mirror the British series’ characters and storylines in the beginning at least. Being Human. The BBC’s take on supernatural friendships was a refreshing concept. A ghost (Lenora Crichlow), a vampire (Aidan Turner) and a werewolf (Russell Tovey) co-habituating in an ordinary Bristol neighborhood was fertile ground for drama, a bit of gore and, oddly enough, a lot of humor and the occasional heartfelt exchange. This trio held together for three series from 2009 to 2011. The fourth series was a transition year and the fifth and final installment saw an entirely different cast from the three friends who set out to try to be more human together. Some bemoaned the changes and said the show should have ended with the initial cast, but after a short adjustment period, I embraced Hal (Damien Molony), Tom (Michael Socha) and, to some degree, Alex (Kate Bracken) just as much. About the time the UK series was changing gears, American basic cable network, Syfy, launched their reboot of the British sci-fi hybrid. Being Human (US) presents viewers with the same trio of paranormal beings; Sally the ghost (Meaghan Rath), Josh the werewolf (Sam Huntington) and Aidan the vampire (Sam Witwer) but this time plopped down in Boston. Though the background of the characters and the premise are quite similar, I gather from reading some series synopses that the Syfy adaptation veers quite substantially from the BBC version in many of its plot points. That being said, the show lasted four seasons which is a respectable showing to be sure. House of Cards. This show may be more familiar in its Netflix mega-hit incarnation as a taut political drama set in Washington, DC. However, before Kevin Spacey became the deliciously devious Frank Underwood, the BBC unleashed Francis Urquhart (Ian Richardson) upon the UK in 1990. During the course of a trilogy of mini-series, this charming schemer moves from Parliament Chief Whip to the height of his ambition, Prime Minister. As Francis himself admits, nothing lasts forever, but it’s fascinating watching his journey. As I mentioned, the shiny new House of Cards has eclipsed the popularity of its source material despite the fact that the original was lauded and groundbreaking in its time. Updated production values, solid acting performances and expanded background and storylines for many of the characters aside, this binge worthy streaming series can reach more viewers and thus generate more buzz. As a true blue British telly viewer, HOC is one of the few shows where I can say I enjoy the American reboot more than its British prototype. Getting On. This BBC series is one of those British workplace sitcoms where personality clashes and ridiculously restrictive rules provide the comedy more than traditional jokes or gags. Nurses Kim (Jo Brand) and Den (Joanna Scanlan) work on a geriatric ward and between the demands of doctors, patients and family members they are constantly run off their feet. Brand also co-wrote the series channeling her experiences as a psychiatric nurse from her pre-comedy days. And another bit of trivia - current Doctor, Peter Capaldi, directed more than half the episodes over its three series run from 2009 to 2012. In 2013, HBO gave us its take on nursing the elderly. The bones of the remake are true to the BBC show; however due in part to differences between US and UK medical administrative structures and terminology some aspects have to be changed. Fans of the UK show will recognize the familiar characters but individual incidents vary from one show to the other. As Getting On (US) moves on to its third series, this is bound to happen more and more. As far as the cast, the two main nurses on the ward are played by Alex Borstein and Niecy Nash. Watch these two almost identical clips from both series and tell me what you think the differences are. The Office. Finally, I come to what I feel is the best example of a successful transformation from a classic British show into one for American audiences. In 2001, the BBC first aired a mockumentary about a paper company. Under the questionable leadership of manager David Brent (Ricky Gervais) we watched office drones do what they do in the course of their workday. It wasn’t everyone’s cup of tea of course – the awkward silences, the inappropriate comments and David Brent’s desperate attempts to be seen as a cool boss and friend to his employees. But NBC, the only major commercial network on this list, saw the potential and gave the show a chance to find its own voice which ended up being more of respectful nod to Ricky Gervais’ and Stephen Merchant’s creation and less a clone of it. It had to be out of necessity since the UK version only ran for two series (and a Christmas special) while the US show went on for nine seasons. One thing I loved about both shows was the pranks that went on at Wernham Hogg/Dunder Mifflin. They were most often devised by Tim (Martin Freeman)/Jim (John Krasinski) to be played against Gareth (Mackenzie Crook)/Dwight (Rainn Wilson). Here are two examples of Office high jinks; the classic stapler in jelly and a much more elaborate hoax that involved drug store glasses and identity theft. I can truly say I love both shows for what they are and feel no need to compare which is best. It’s like trying to choose between your own children after all. I don’t know if this list makes you feel any better about the whole Doc Martin thing. Perhaps the best we can wish for is an unaired pilot and the whole thing will go away quietly. If it doesn’t, who do you think would make the best American Dr. Ellingham? I think it’d probably just be easiest to have Hugh Laurie recreate his role as House but relocate him to a quirky New England seaside town. Please share your thoughts about this or just remakes in general in the comments section. I’m thinking the discussion could get very lively! Heads up Doc Martin fans: Season 8 could be coming to your local PBS station as early as January 2019. Filming is under way on the next - and maybe final? 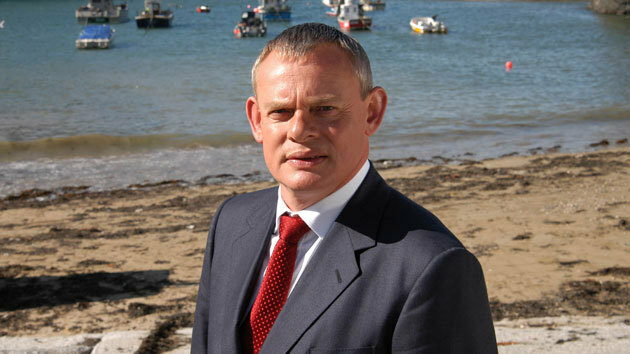 - season of "Doc Martin"
Get your first look at footage from Season 8 of "Doc Martin"!